Working with the North Shore-Long Island Jewish Health System, we created an interactive interior design based on the belief that art and play have a vital role in children's hospitals. Collaborating closely with child life specialists, we discovered that providing a creative outlet for children would create a positive space for them and their families. The project's goal was to give patients a sense of control over their environment by creating reassuring and stimulating experiences. 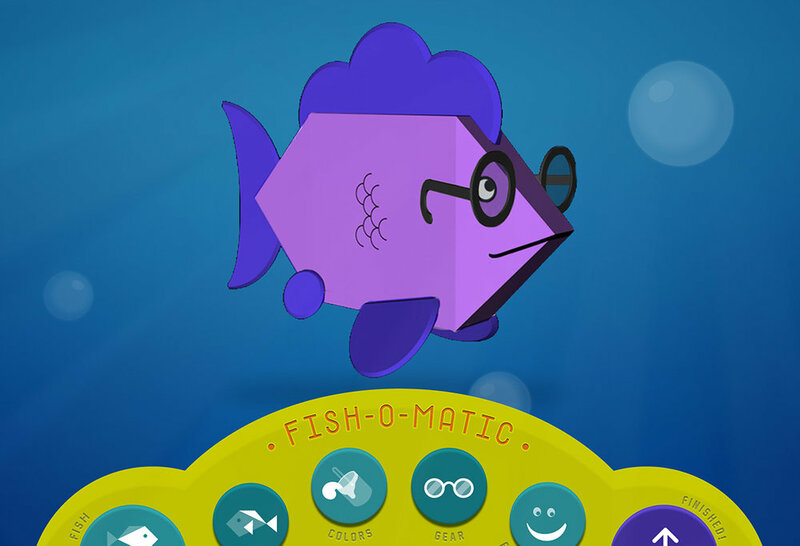 Kids could customize their own fish, eventually sending it to the virtual aquarium. Moment of personalization balanced with surprising humorous and spectacular moments brought comfort and delight into the nature inspired environment. Send your fish to the Digital Aquarium and wait for the feeding frenzy! The Digital Aquarium is a virtual, underwater world filled with kids' personalized fish friends. By creating and personalizing a fish, kids can design their own imaginary underwater worlds in an otherwise typically stressful environment.